​I would like to thank the members of the Portobello lodge for once again allowing me the honour of occupying the chair of my Mother Lodge for a second time. 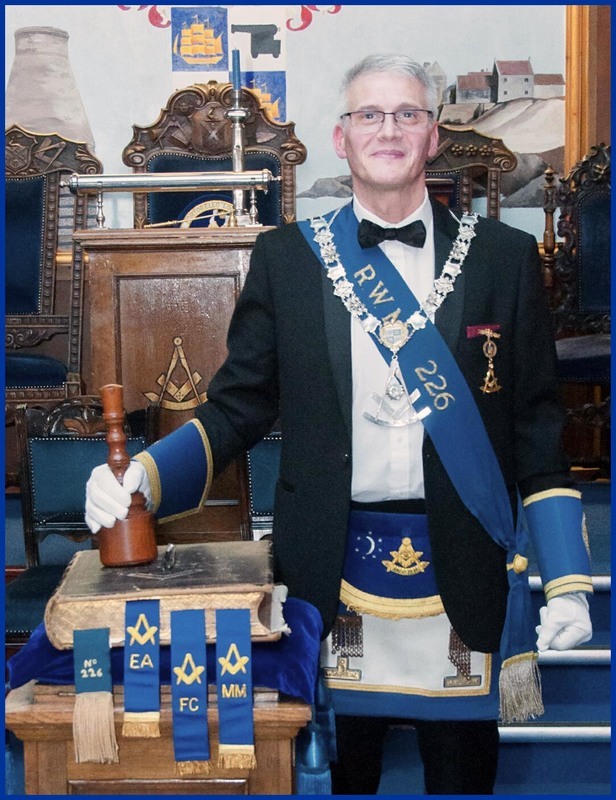 After leaving the chair in 2004 I spent many years assisting the lodge in various offices before the opportunity arose to once again lead the lodge, an opportunity I took with both hands!! And I look forward to progressing the hard work done in the past for the benefit of the lodge into the future. And hope to write another full and exciting chapter in our lodge's ancient and honourable history. The Lodge meets on the ​​1st and 3rd Thursday of each month, September to May and You can be sure of a warm welcome. ​Our upcoming meetings are on this page. 9-13 Figgate Street, Portobello, EH15 1HL. You can see directions and where to find us HERE.